Berlin Atonal Festival: Caught Between Style and Substance? The resurrected Berlin Atonal festival is the kind of success that founder Dimitri Hegemann probably couldn’t have imagined back in 1990, when the fifth and final edition of the festival’s first incarnation ended. While Berlin’s landscape has changed irrevocably since then, its art-punk industrial and noise legacy remains. 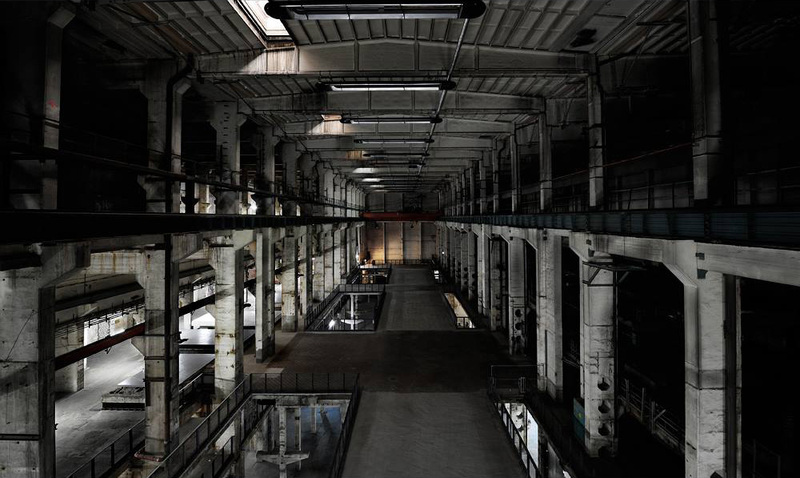 That restless spirit is aptly housed in the Kraftwerk, a former power plant in the city center whose cavernous concrete interior provides Atonal’s main stage and contains a complex of clubs including Tresor and Ohm, all of which are employed for the festival. Even after three consecutive years, entering the main space is a thrill. While many former factories and warehouses have been repurposed into venues, the Kraftwerk’s size and rawness feel special thanks to the immensity of its open-plan interior and ceiling that soars high above its three floors, its darkness and the uniformity of its concrete walls, floors and pillars. In many ways, the venue is the main attraction. But it comes with limitations. Sound in such a large and bare space will travel and then bounce off the hard surfaces. Presumably, the organizers tried to address that with a program consisting largely of abstract electronics. On the opening night, Max Loderbauer and Jacek Sienkiewicz reprised their collaborative EP for a set in four parts based on mountain ranges. Any initial disappointment that modular synth veteran Loderbauer was using a laptop was quickly dispelled by his improvisatory proficiency with KYMA, the visual programming language and DSP he’s enjoyed for all of four weeks. With Loderbauer driving the narrative arc, Sienkiewicz worked the live mix for a remarkably musical jam and the highlight of the night. Few of the acts who operated in the same parameters over the next four nights met the expectations set by Loderbauer and Sienkiewicz, although there’s so very much at Atonal that aspires to. But many of the artists on offer just didn’t have the musicianship to work laptops with the same efficacy. As a result, quite a lot of sets felt interchangeable and indistinguishable, and what should have sounded transgressive became so commonplace that walking into a space and hearing yet more yawning electronic chasms and distorted drones made my heart sink. Sometimes I just turned around and left. There were two exceptions: Ben Frost and Fis. The former has found a touch of delicacy to offset the bombast of his earlier work, and the latter was one of the few who made that enormous room feel immersive. Both artists possess enough of a sense of composition to hold attention. With so much sameness, anything that broke the mold stood out. Yair Elazar Glotman’s contrabass improvisations during the Subtext label showcase wandered aimlessly until it hit on a combination of harmonics and effects that rang throughout Stage Null. The showcase for Powell’s Diagonal label and its affiliates proved to be a festival highlight, thanks in no small part to a distinct lack of po-facedness and the kinetic energy provided by live drumming and electronics by Blood Music and the joint efforts of An-i and Alessandro Adriani. Diagonal also hosted Russell Haswell’s DJ set, a roughshod, rousing ride through noise, techno, acid and the unknown. Goth Trad’s DJ set in Ohm of Saturday night consisted mostly of the Japanese producer’s own dubstep deviations and provided one of the only moments of fun in an otherwise deathly serious affair. Tony Conrad and Faust’s collaborative performance as their long-established project Outside the Dream Syndicate displayed master musicianship. They explored variations of texture, tonality and tempo with only the most minimal of notes and pitch. Alessandro Cortini’s solo set had beautiful sound quality and enjoyable melodicism; its lightness was especially attractive in the setting. Even David Borden and the Mother Mallard Ensemble’s dated synth film music prog sounded charming there in an electric piano recital way. The Kraftwerk. Image courtesy of Berlin Atonal. It was usually a relief to hear beats on the main stage, especially the live percussion by Shackleton’s collaborators on Powerplant, the clean electronics of COH and the rolling thunder of Regis and Ancient Methods’ joint project Ugandan Methods. However, at the after parties in Tresor and Globus, beats were often hampered by the venue’s restless crowds, who seemed to want something other than music. If there was one act that should have fulfilled every Atonal dark ambient cliché, it was (recent EB interviewee) Lustmord. But the genre pioneer delivered a truly synergistic audiovisual performance instead, and it was a rare instance where the visuals both related to and improved the music. For all of the darkness in Atonal’s programming, Lustmord’s was the only performance that felt truly sinister or otherworldly. As much as the venue is the star of the festival, the space affects sound so much that it’s like every set performed on the main stage was patched through the same effects. None of them were truly site-specific, and almost all of them seemed to aspire to an immersiveness that the space cannot allow. The Rainer Kohlberger installation of light screens and electronic escalation in a concrete room worked well because it achieved that quality. And escaping from all of the vastness was why the quiet intimacy and analog hum of the Modular Schaltzentrale, a bank of modular synths stationed in the former factory control room, felt so comforting. Perhaps fittingly, the music is served in giant blocks: an entire block of dark drones, an entire block of techno. But there’s logic in the line-up, because Atonal’s main achievement is in the consistency of the aesthetic. They’ve so heavily occupied a scene that it’s inevitably influential. This is borne out by the sheer numbers that filled the Kraftwerk each night of the festival. But what began as part of a true counter-culture has evolved through some 30 years of industrial, noise and techno into a not-so-unusual fashion and lifestyle. Seeing, for instance, middling techno artists presented on the big stage and given the opportunity to present their music “seriously” proves just how watered down that revolutionary, rebellious spirit has become. Many of the sets had pretentions to “high art” that just weren’t substantiated by the music itself. And while Atonal does include a healthy showing of beauty, truth and insight—did you see Pierre Bastien’s delightful installation of rickety méchanique instruments? or the screenings of Tony Conrad’s structural films?—a great deal of the rest is so blandly similar despite its ostensible experimentalism that you don’t remember much about it. But what you are left with is a sense of vibe, of aesthetic. Make no mistake, Atonal is a success. It has broadcast its message very clearly, its crowds grow in number year after year and the production and organization are now expert (Insert joke about German efficiency here). As to whether it lives up to its heritage of trailblazing and cultural significance or merely trades style over substance . . . we may have to wait until next year to know. 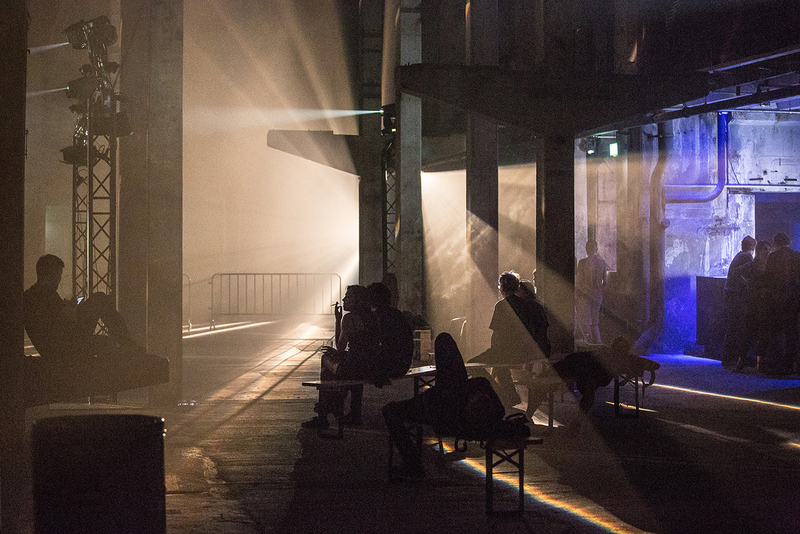 Read our past reviews of Berlin Atonal 2014 and 2013. Our review of MaerzMusik earlier this year explores similar themes. The cover photo for this piece are from Georg Schroll’s Flickr.